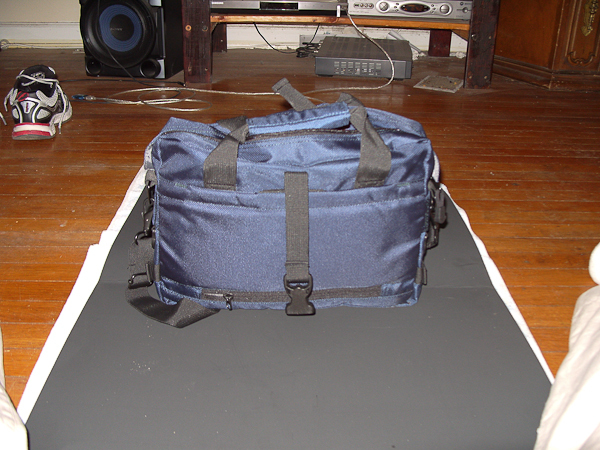 Just got the Naneu Military Ops Lima Pro Camera bag and I am pretty happy with it. 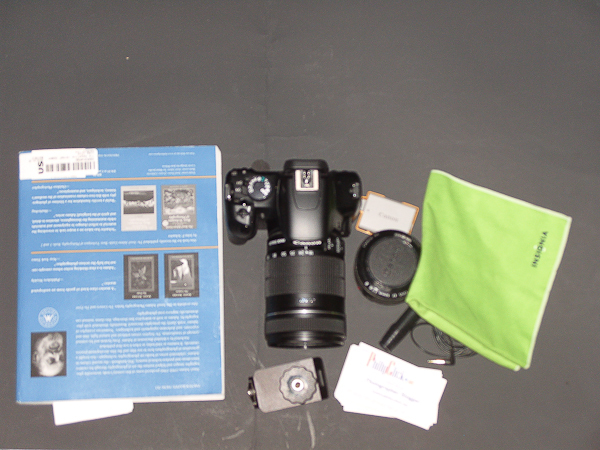 I got this for $35.00 although the current Military Ops Lima sells for just over $80.00. My version is not a used or a second hand bag. It is the first version of the Military Ops Lima, and frankly I prefer it. 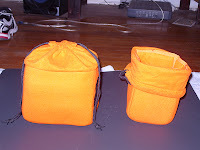 The old version has 2 inserts that go into the bag that you can take out individually. 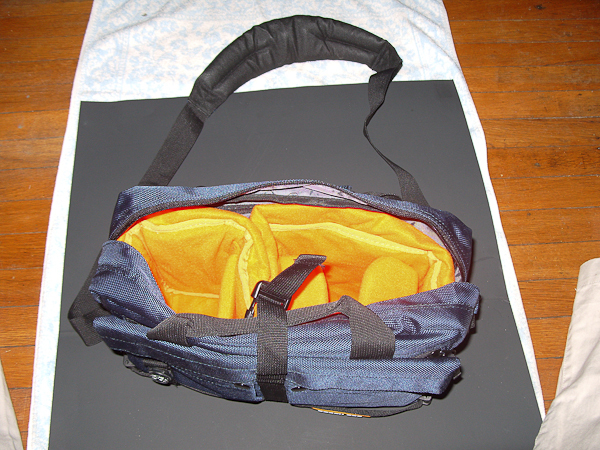 The current version has the inserts combined into one 3 compartment insert. I thought about 2 other bags before I got this one, and frankly the deciding factor was cost. 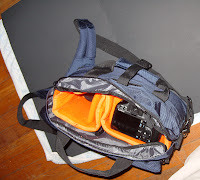 The Domke F6, and the LowePro Passport Sling. Given a higher budget I would definitely have gone with the Domke or the Passport Sling although I did have some concerns about the Passport Sling. I am 6ft, 260, and did not want a bag that looked like a pocket book. and I was not sure if it would ride up on my frame. I would like to test one out and see it though, otherwise, a very nice bag. 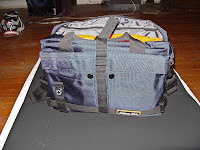 The Lima Pro it is very well made, a little Velcro crazy for me, as it is everywhere, and opening anything on the bag is a strength test. It will be interesting to see if the Velcro holds up to extended opening and closing as it has quite a grip right now. The ballistic nylon screams man-made with it’s shininess, but it is tough and feels like it can take a beating. 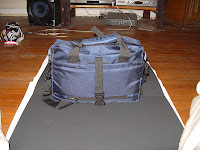 The bag definitely has it’s own shape, and empty does not slump down. 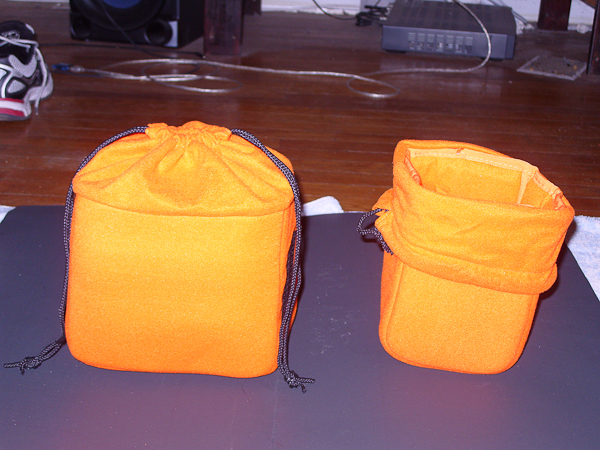 The inserts are bright orange and easy to see, but they are made of a fuzzy material that I can only hope is microfiber. If not, it could be a lint and stray hair factory; only time will tell. I really would have loved canvas, and padded nylon for the inserts. It’s not very big, and is suited for a DSLR with lens attached and a extra lens. You might be able to sit a 50mm and a macro prime on top of each other, but if you have a long zoom then it’s that and the camera with lens attached . This is not a gripe, it’s what I wanted. I have fit a DLSR, SLR and a Superzoom in the bag all at once and carried a 50mm lens in my pocket. Lots of extra pockets, and feels allot like a gadget bag turned into a camera bag. Once you take the inserts out there is very little padding, but the fabric is pretty tough. Awesome shoulder strap, and it is really grippy. I could carry it on one shoulder without it sliding and over the far shoulder it really does not slip around. This bag holds all this fine. Occasionally, I add a ziploc bags and garbage bags if I think rain is in the forecast, but they are negligible in size. Overall, this bag is really nice but I will see how the Velcro and the orange fuzz hold out. 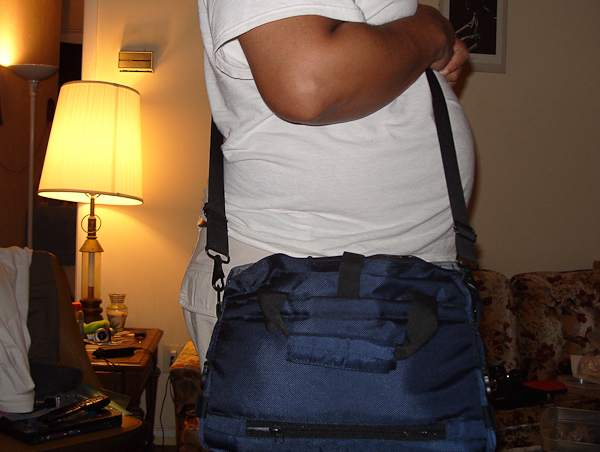 If they do, I will be keeping this bag once I get a Domke/Passport as I can convert this into a M-F workweek gadget bag easily. Until then It will be my primary camera bag.